I didn’t play much at all last week due to life and getting prepped for going away. 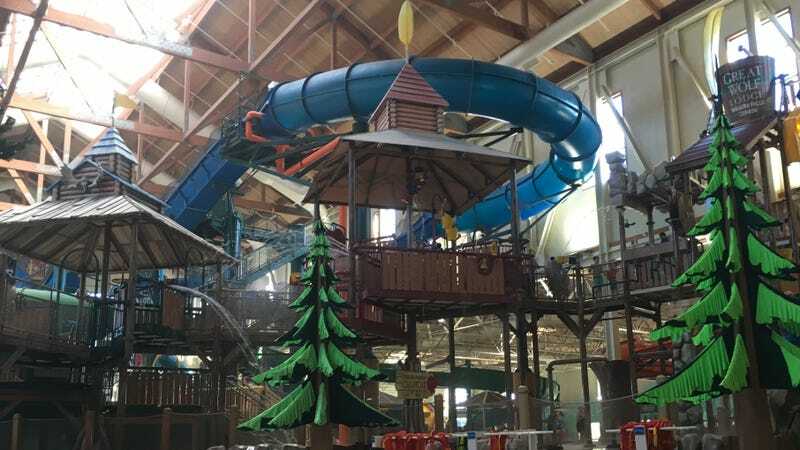 We did hit the arcade at Great Wolf Lodge, but that mainly consisted of those ticket-spitting “games” that just prepare children for a life of gambling. I did manage to sneak in a little Blood and Wine in The Witcher 3 last week and (so far) it has lived up to the hype. I’m happy to be dying again due to the difficulty and all the new content has been very exciting. It almost feels like the DLC has a better balance with the difficulty settings, though it is possible I was just always too overpowered for the quests I was taking in the vanilla game. It is hard to recommend playing The Witcher 3 GotY collection all in one unceasingly long playthrough. It is a LOT of content and even though the DLC does a fantastic job of shaking off the eventual doldrums of the extremely lengthy vanilla game, it is still a tremendous amount of content to play. However, if you are like me and never seem to get back to the separate DLC content for even your most favourite of games, then the integration of the DLC into the main Witcher 3 world is a good way to make sure you see it all. I’m definitely happy to be consuming it all and the hours just melt away when playing, but you could eat hamburgers every day and eventually you will start yearning for something new. It doesn’t hurt that I have Wolfenstein II waiting in the wings. After some much-needed rest this weekend, I have to prep for some renovations that begin on Monday and that means shifting vast amounts of furniture around my house. If time permits, I’m hoping to be able to get back to The Witcher 3 and maybe some Rock Band 4 with the family.